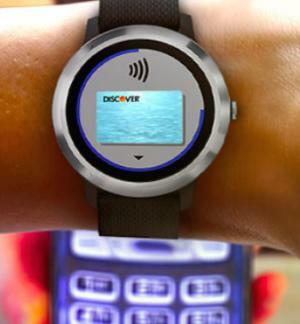 Garmin Pay Welcomes Support from Third U.S. Network but More Competition on Horizon | NFC Times – Near Field Communication and all contactless technology. Starting this week, Discover Financial Services-branded cards are available for Garmin Pay in the U.S., as the payments wearables service prepares to face even more competition this year. But Garmin Pay, which already vies for a share of the limited digital payments market in the U.S. with Apple Pay, Google Pay, Samsung Pay and Fitbit Pay, among others, will soon have to compete with millions of contactless EMV credit and debit cards that U.S. banks are beginning to issue this year. Garmin Pay users can load their Discover-branded cards on several Garmin smartwatch models, including the vívoactive 3 series, Forerunner 645 and Forerunner 645 Music running watches, Fenix 5 Plus series and D2 Delta aviator watch series. Article has about 710 words.